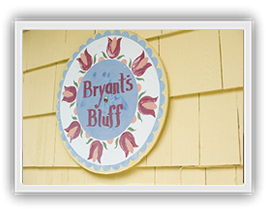 The Bluff Bed and Breakfast is located in Historic Henderson Harbor, NY. Begin your day with a beautiful sunrise and complete your day with a peaceful sunset. Rest and relax with the tranquil waters of Lake Ontario and the serenity of the surrounding landscape. Please feel free to visit us at the following location: Paradise Park Road P.O. Box 429 Henderson Harbor, NY 13651. For more information or to make a reservation, please call us at 315.486.3220 or send an email tothebluffny2@gmail.com. For more information or to make a reservation, please call us at 315.486.3220 or send an email to thebluffny2@gmail.com. We are preparing your room at The Bluff!